Today, Thuan Pham is the successful Chief Technology Officer at Uber, the most valuable ride-sharing startup in the world worth over $62 billion, but as a child, Pham struggled to survive as a poor refugee boy escaping a war-ravaged Vietnam. Pham was among the tens of thousands of refugees who fled from the Vietnam War in 1979. The 10-year-old Pham, his mom and his siblings were crammed with hundreds of other Vietnamese refugees on a 60-meter boat on their way to an uncertain future. The refugees endured a perilous journey with their boat being raided by pirates twice. Their boat landed on the shores of Malaysia but they were immediately rejected as refugees. Instead of returning to their country, his mother took a chance in taking her children on another boat to Indonesia, where the family stayed for 10 months. Living on the island of Letung, young Pham would swim to the nearby town to buy candies which his mother sold in the refugee camp to earn money. Pham’s life began to change after his mother’s asylum application in the U.S. was approved. They relocated to Maryland, where his mother worked as a ledger keeper at a gas station during the day, and as a grocery packer at a supermarket at night. While studying in American schools, Pham struggled initially as he didn’t know English and had to start from scratch. He also wore donated clothes and shoes and found work at a local car wash station. “I remember wearing girl socks for almost two years in oblivion, until someone pointed,” Pham told Tech in Asia. A persistent and hardworking student, Pham graduated from MIT with a bachelor’s in computer science in 1991. After MIT, he found work at HP Labs, Silicon Graphics, DoubleClick and VMWare. When Pham joined Uber in 2013, it was already present in 60 cities with 200 employees. Currently, the company has an estimated net worth of $62.5 billion, has a presence in almost 400 cities and employs thousands of employees around the world. As the Uber CTO, he has helped improve the Uber app which was prone to crashes in its earlier versions. To ensure that the app is responsive and crash-proof, Pham has developed innovations that enable its architecture to keep running even if something goes wrong. Growing up with hardship and the constant threat of death back in Saigon, which today is Ho Chi Minh City, Pham was forced to overcome fear at an early age, but that trait still stick with him today. An Le shoots Huynh Nu and Thanh Thuy (Runway Models) in ‘Situation Saigon’ for Tush Magazine. Styling by Cong Tri. Hair and makeup by Quan Nguyen and Pu. Tu Tran’s cell phone rings at all hours of the night. His number is well known in this city’s growing Vietnamese population. He is called into duty to quell disputes, serve as a confidante and a role model. It’s all part of the job as Lincoln’s only Vietnamese-speaking police officer. 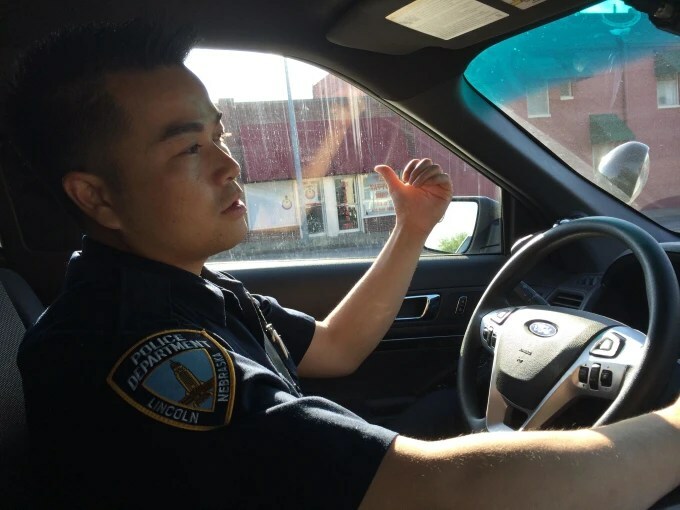 Officer Tu Tran on patrol in Lincoln, Nebraska. As one of only two Vietnamese officers on the police force, Tran serves as a crucial link between the city and its growing Vietnamese population. When Saigon fell to the Viet Cong in 1975, thousands of Vietnamese found refuge in the United States, many starting new lives in Houston, San Jose, and other large metropolitan areas. But they also arrived in the country’s heartland, including a significant community of Vietnamese that established itself in Nebraska’s capital city of Lincoln. Tran’s father fought in the war alongside U.S. soldiers until the fall of Saigon and spent eight years imprisoned by Vietnam’s communist government. Roughly a decade after being released, he brought his family to the U.S. It was a cold winter’s day in 1992 when six-year old Tu arrived in Nebraska. Catholic Social Services brought Tu and his family to America as political refugees, along with tens of thousands of others helped by the relocation agency. The Trans settled along the 27th Street corridor, now the hub of the Lincoln’s ethnic neighborhoods. Today, Vietnamese restaurants and groceries share the strip with Mexican eateries and African markets. The United States is home to more than 1.7 million residents of Vietnamese descent, according to the U.S. Census Bureau, with California and Texas accounting for more than half that population. Nebraska’s population is relatively modest, numbering around 9,000. Larger numbers have settled in nearby Kansas and Oklahoma. But the Vietnamese represent the first major wave of refugees being hosted by the Cornhusker State, a place that remains predominantly White but is now home to increasing number of refugees from Iraq, Sudan, Bhutan and the nation formerly known as Burma. Nebraska has some of the country’s fastest growing communities of color. The Hispanic population has nearly doubled since the 2000 U.S. Census. Residents who trace their heritage to Asia and the Pacific Islands increased by more than 70 percent over that same time. Meanwhile, the number of White residents grew by a mere 1 percent. 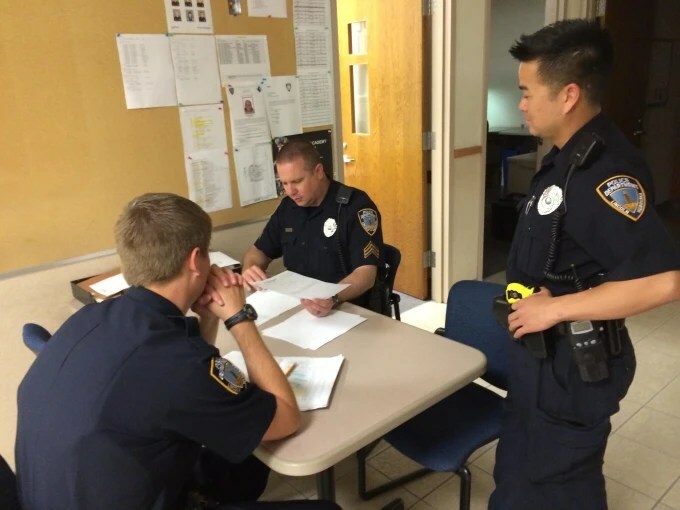 The Lincoln Police Department has about 20 officers of color among its 320 sworn officers. Tran is one of two officers on the force who are of Vietnamese heritage, and the only one fluent in Vietnamese. Tran says he was amused when an article that explored the diversity of languages spoken across the country began circulating through social media. According to that map, Vietnamese is the third-most-spoken language in Nebraska, behind English and Spanish. Having witnessed the influx of fellow Vietnamese to his town, Tran says he wasn’t surprised. Police Chief James Peschong acknowledges his office faces challenges in dealing with an increasingly diverse population. Some Vietnamese aren’t always trusting of police, says Tran. Particularly older generations who lived in their homeland during the turmoil of war. Then there is the cultural practice of keeping issues of the home, private. “They don’t want anyone else to know about their problems,” said Tran, who often serves as a counselor to immigrant families. This report was made possible by The Heartland Project, an initiative to broaden news coverage of Nebraska’s communities of color, as well as gay, lesbian and transgender issues. 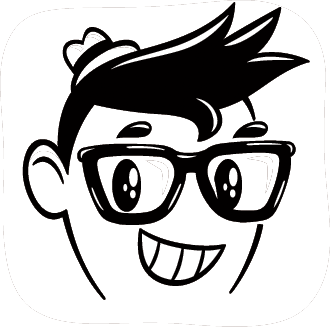 The project is funded by the Ford Foundation in collaboration with the University of Nebraska-Lincoln College of Journalism and Mass Communications, the Asian American Journalists Association and the National Lesbian and Gay Journalists Association. Southern California mainstay Us Versus Them took to the backdrops of Saigon and Hanoi for its latest 2014 spring lookbook. Transcending its raw fashion sensibilities onto the urban landscape, the lookbook exhibits a handful of bold graphics, and collegiate and Old English fonts on raglan shirts, tees, fleeces and pullovers, while cargo shirts and camouflage hats nod at the collection’s military influence. The label’s machete vs. palm tree logo is used on updated pieces elsewhere, providing another definitive selection for the spring season. Head to UVT’s online store for the full collection and look for it later in the season at select stockists including the HYPEBEAST Store. Beijing-based custom motorcycle design shop Bandit9 presented their latest creation in Saigon, the EVE Concept. Using a 1967 Honda SS as the starting point, which was supposedly the first Japanese bike ever imported to Vietnam, the team finished the bike with a chrome unibody, custom exhaust, custom handlebars, exposed suspensions, a cattle skin leather seat and chrome/bronze detailing.